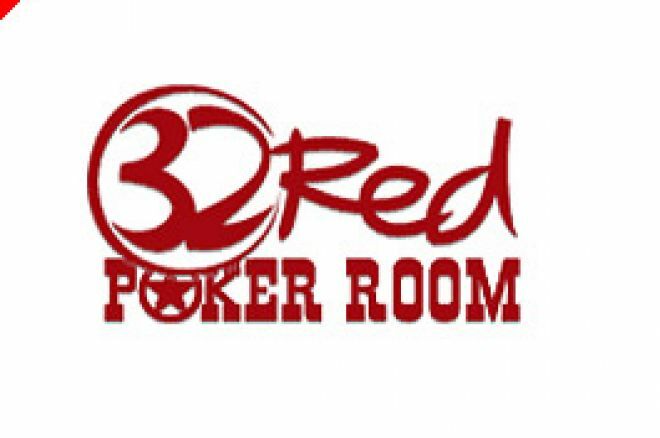 32Red plc, the AIM-quoted company that runs the poker room and casino of the same name, has issued an upbeat progress report to its shareholders through the London Stock Exchange, about its 32Red gaming and poker operations. and based in Gibraltar. For the past two years, 32Red has been awarded "Best Casino"
by Watchdog and Player Advocate site, Casinomeister. 32Red attracts players from around the world but has a predominantly UK player-base, with 83% of customers at its casino and poker rooms registered as coming from the UK. In a trading update covering the year ended 31st December 2005, 32Red said that it had increased gaming revenues by 67% to £9.77m, casino revenues by 57% to £8.94m, and poker revenues by a staggering 339%, albeit from a virtually standing start, to £0.83m. Overall, total active players had grown by 102% to 17,587, comprising 10,605 in the casino (54% increase) and 6,982 in the poker room (277% increase). coming months we expect to deliver further growth across the business in 2006". Ed Ware was the former Managing Director of Ladbrokes International Limited. He set up the 32Red gaming and casino business in 2002 and has assembled a team of experienced betting and gaming professionals over the past three years. Since inception, all 32Red operations (including marketing, customer support, IT, maintenance of customer accounts and payment processing) have been managed from offices in Gibraltar. The Company's servers host MicroGaming casino software which is used to generate all casino game play and to maintain customer accounts. 32Red's poker activities are offered through the Prima Poker network with customer support and account maintenance managed by the 32Red team in Gibraltar. 32Red operates under a gaming licence granted by the Government of Gibraltar. Ed note: Increase your profits at 32Red Poker and claim an instant $10 bonus.